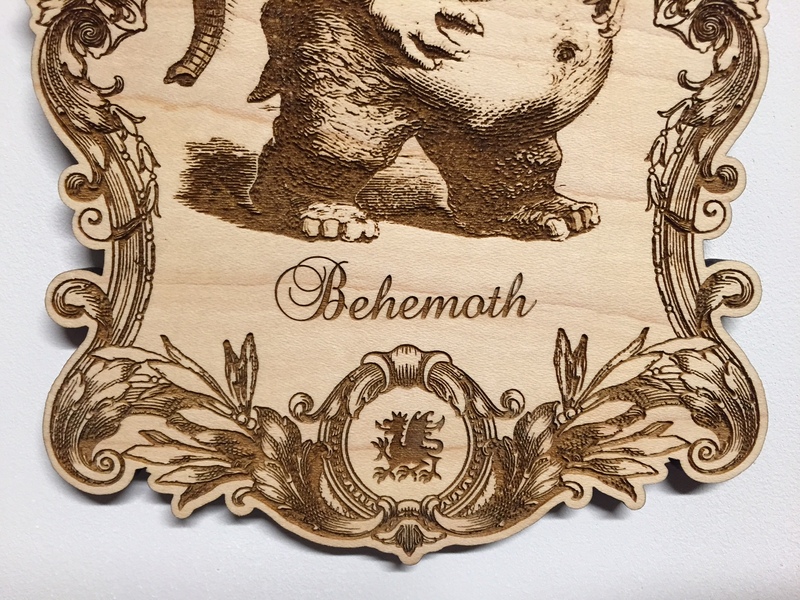 Laser engraved Maple wood plaque with an ornamental frame design including Behemoth. 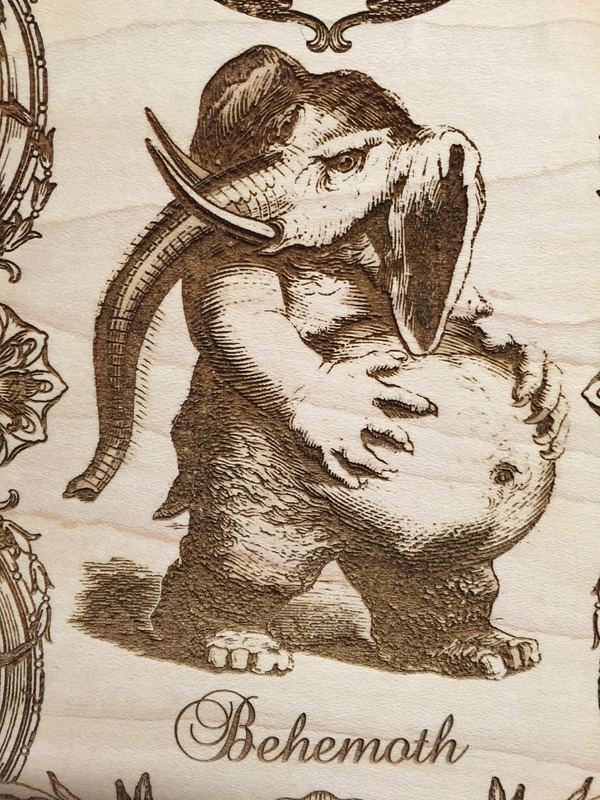 The Behemoth image was originally a woodcut created by Louis Breton and used in the printing of Collin de Plancy’s Demonology volume, Dictionnaire Infernal, in 1863. The wood is Hard Maple, which has a great finish and contrasts well when engraved. Each board has slightly different grain patterns giving every piece a unique appearance. 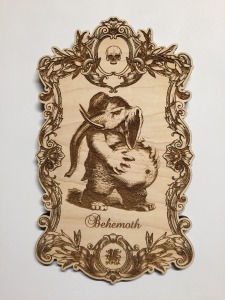 The plaque can be hung onto a wall or door. 8.5 inches tall, 5 inches wide, 1/4 inch thick. 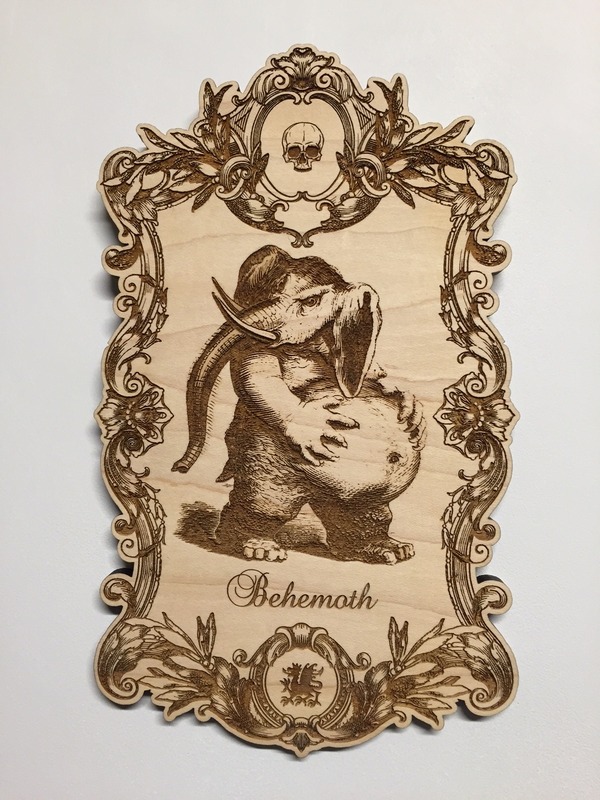 Material: Maple Hardwood – Laser Engraved. No Damage Wall Hanger Included.